Look Good…Feel Better (LGFB) started in 1989 when a physician “prescribed” a makeover for a cancer patient who experienced depression related to her change in appearance. Twenty years later, the organization has helped many women offset appearance-related changes from cancer treatment through makeovers and one-on-one beauty sessions. While treatments such as chemotherapy are an essential part of fighting cancer, no one denies that it can and will change your appearance. And, of course, outer beauty isn’t everything, but things like the loss of hair or skin changes definitely have some effect on the way some women see themselves. And, studies have found that addressing the non-medical effects of cancer can be just as important as addressing the actual physical symptoms. The cornerstone LGFB small group program is offered in all 50 states and DC. There are also international LGFB programs as well! The show doesn’t stop there. In select cities, individuals can also participate in bilingual (Spanish) or teen programs. Participants spend two hours in a hands-on workshop that includes a 12-step skin care/make-up application lesson, demonstration of options for dealing with hair loss, and nail care techniques. Additionally, the ladies receive advice on wigs and scarves, along with free cosmetics kits! Each year, More than 50,000 individuals participate in the program. That’s a whole lot of beauty for a great cause. There are three main organizations which serve as a partners in making all of this happen. There’s the Personal Care Products Council, the nation’s cosmetic industry leaders; the American Cancer Society; and the National Cosmetology Association, which encourages member cosmetologists to volunteer their services. Each year, cosmetic companies, such as Mary Kay, Elizabeth Arden, and Benefit, donate over one million individual products (valued at $10 million) and raise more than $2 million for LGFB. 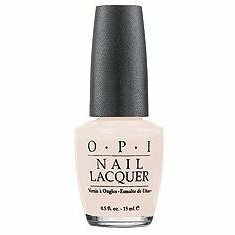 To celebrate their partnership with LGFB, OPI has designated a portion of the proceeds from the sale of its Bubble Bath Nail Lacquer in July and August to benefit the organization with a minimum $25,000 commitment. LGFB is always looking for volunteers. Whether you’re a licensed cosmetologist or just looking to do more general service, there is an opportunity for you. I could probably go on and on about all the great things that Look Good…Feel Better is doing across the country, but I’ll let you explore it for yourself! If you head on over to www.lookgoodfeelbetter.org, you will find studies, videos, photos, beauty tips, and MUCH more! You can also follow LGFB on Twitter at twitter.com/lgfb! Happy 20th birthday to such a great cause! Great post on a fabulous partnership. I grew up knowing about Look Good…Feel Better from my mom who worked with the group as part of her position with the American Cancer Society, and this is where I first realized the power beauty and aesthetics can have on one’s mood and health. And I love OPI’s ongoing commitment to support those affected by cancer in a variety of ways.